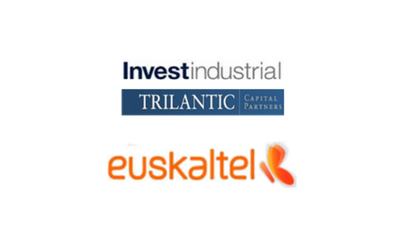 Description: GBS Finanzas advised Investindustrial Trilanticy in the acquisition of 48.1% capital of Euskaltel. This transaction, which is valued at 300 million euro, implied the acquisition of the stake which belonged to the regional Basque government, the reduction to 49.9% for BBK and 2% for Iberdrola. Euskaltel is a Spanish cable operator that commercialises its services in the Basque Country. It operates in fixed and mobile telephony, digital television and broadband Internet access both through ADSL and cable, for individuals and businesses.